Forget presents and stockings, this teen country artist Bailey James only needs snow — and perhaps a lost love — to complete her Christmas. 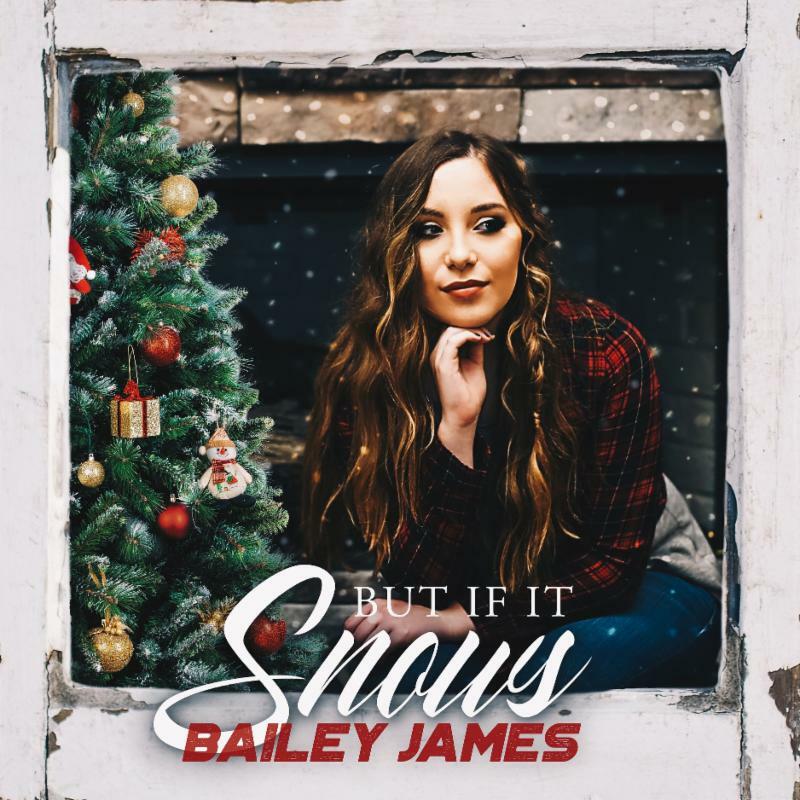 She has released her first original holiday single, But If It Snows, which is going to country radio and is now available on iTunes and all digital retailers today (November 2, 2018). James is ending a whirlwind year on a high note with the release of But If It Snows to country radio. The release follows two successful singles including her Top 40 hit Run Girl. She promoted the single at her first Country Radio Seminar at the beginning of the year where she performed and was interviewed by countless media outlets. In the following months, she hit the road for a lively tour schedule including many radio station visits and festival appearances including CMA Music Festival. In between the almost constant travel, James spent hours in the studio writing and recording brand new music for 2019, including a special song she wrote for her successful Kickstarter campaign. Her Won’t Be Silent Suicide Awareness Campaign raised money to produce Won’t Be Silent, shoot an official music video and record a public service announcement with a very uplifting message. “At 15, I am a voice for other teenagers. I provide them someone who listens and has lived a similar struggle. Awareness is the first step in the prevention of suicide. Please don’t be silent!” Stay tuned for this and more music to be released early 2019. Stay in touch with Bailey James on her website and on her social media platforms Facebook, Instagram, Twitter and YouTube. About Bailey James: With over 140k followers across her social media platforms, this rising country artist is stamping her name on country music. Bailey James has gained positive feedback from renowned music critic, Robert K. Oermann, stating, “I’ve liked everything she’s ever put out so far, and this continues her winning ways…she’s a master chef as a singer…” She has appeared and performed at the legendary Bluebird Café, the famous Wildhorse Saloon, WSM-AM radio — home of the Grand Ole Opry, as well as multiple CMA Music Festivals. Her passion for music can be heard in her powerful live performances, advanced songwriting, and a level of artistry that is well beyond her years. She has followed in the footsteps of country music icons, Rascal Flatts and Charlie Daniels by joining The Jason Foundation as their first national teen ambassador. This foundation is dedicated to the prevention of youth suicide by raising awareness through education and empowerment. By teaming up with the foundation, James has been able to bring their mission to the forefront with her social media presence. The genuine love she has for music and helping others shines through and promises to only grow stronger as this teen continues her musical journey. Querbeat fordern mehr "Freaks" braucht das Land!